For three weeks every July, the cycling world revolves around the "Tour of suffering". So what does the 2018 Tour de France have in store for the riders? Things get underway just off France's west coast, on a small island in the Atlantic. A few days later the riders have the dubious pleasure of racing over the treacherous cobbled farm tracks used in the Paris-Roubaix race, the Hell of the North. 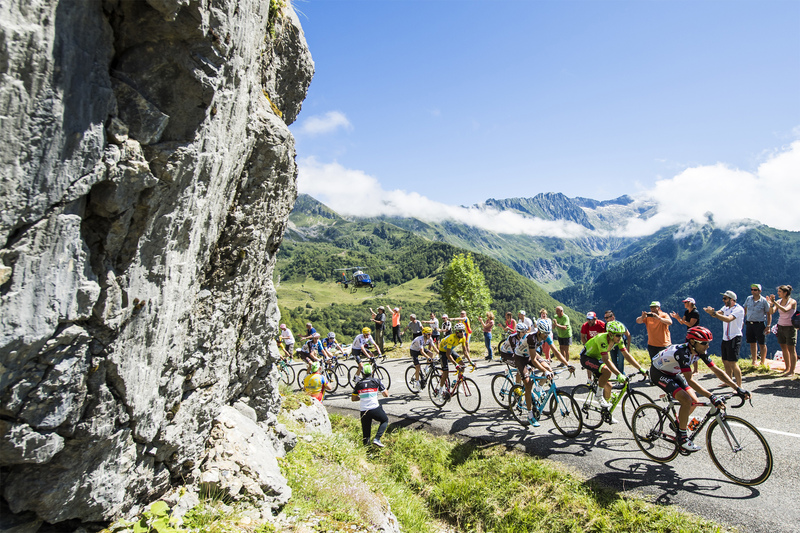 The route includes two unusually long air transfers, and long, steep climbs in high mountain terrain, such as the infamous Alpe d'Huez, the Tourmalet and the Col d'Aubisque. And there is a hilly 31-kilometer individual time trial before the final stage, the "lap of honor", takes the riders into Paris and past the Arc de Triomphe on Sunday July 29. The 105th Tour de France is once again packed with tricky sections that could decide the outcome of the race and challenging stages that are guaranteed to make for exciting, top-notch bike racing. As soon as the route was announced in Paris on October 17, it was clear that there would be no single ultra-demanding stage in this year's Tour de France. Instead, the whole route is challenging, with pitfalls lurking all along it. That said, the key stages in the Alps and the Pyrenees after the first rest day in Annecy on July 16 are sure to give a clear indication of the likely outcome of the Tour. The Grand Départ on the Atlantic island of Noirmoutier-en-l'Île, just off the Vendée coast, promises to be spectacular. The entire field must cross to the French mainland on their way to the stage finish in Fontenay-le-Comte. The Tour de France has traversed this stretch of water before, across the Passage du Gois – a tidal causeway, flooded twice a day and known to be perilous. Back in 1999, when the Tour also began in Noirmoutier, this narrow paved strip caused chaos as 25 riders crashed on the slippery surface. Several of the leading contenders saw the race slip from their grasp on that very first stage, before they had even reached the French mainland. Lesson learned, this year the Tour will take the riders over a nearby bridge. This 199-kilometer stage will favor the sprinters. If the race goes his way, it could well see Marcel Kittel pull on the race leader's yellow jersey for a third time, having already worn it in 2013 and 2014. 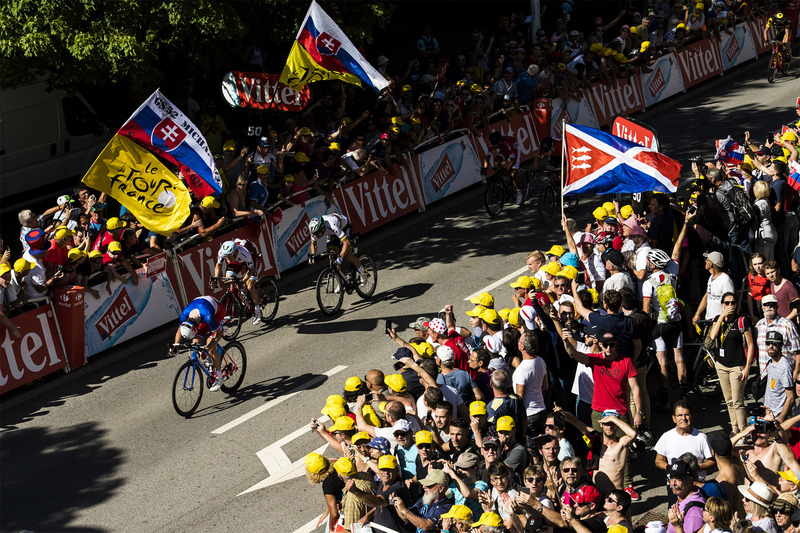 The whole of the Tour's first week in the north-west corner of France is likely to be dominated by the sprinters, the masters of the fast finish. But often, it is not the sprinters themselves who shape the race. Instead, they have a lead-out train, a group of teammates who spend the whole day shielding their top rider from the wind, allowing him to save vital energy for the decisive final meters of the stage. Here we find the clearest evidence that cycling is a team sport, even if the winner stands alone on the podium. A sprinter's team basically works in the same way as a multistage rocket, with stage one kicking into action 50 kilometers or more from the finish line. The team work to put their sprinter into the exact position they want, then defend that position while slowly but surely picking up the pace. At training camps before each of the grand tours, the riders practice changing the lead and stepping up the pace at the front. The "last man" in the train, the rider who will give the sprinter the final lead-out and launch them at full speed into the wind, will usually be doing over 60 km/h when they swing off the front. These are often talented sprinters themselves, eminently capable of picking up wins in cycling's one-day classics. The rocket that started its work an hour or so earlier then "explodes" as the finish line comes into view and the carefully cosseted sprinter moves to the front. All the team's hard work and careful planning are invested in propelling their sprinter toward a victory that will put the day's winnings into the team’s pot. The Tour's ninth stage on Sunday July 15 is a nod to the world's toughest and most infamous one-day race, and will see the riders race over the "pavés", the treacherous, bone-jarring cobblestones as they head for Roubaix. The winner of the Paris-Roubaix classic itself is awarded a trophy in the form of a giant cobblestone – one of the most coveted prizes in the world of bike racing. And the Tour's peloton must endure the rigors of these same harsh roads before their first air transfer to Annecy for a day of rest. What follows will separate the wheat from the chaff. The next three stages take the riders through the Alps, heading for Le Grand Bornand (159 kilometers), la Rosière (108.5 kilometers) and Alpe d'Huez (175.5 kilometers). These three mountain stages feature a number of "hors catégorie" climbs, a label reserved for the very toughest mountains on the Tour. The first Alpine stage will see the riders tackle the Col de la Croix and the Col de la Colombière. The second day in the Alps starts in Albertville, home of the 1992 winter Olympics, and is every bit as daunting, with the riders scaling the Montée de Bisanne straight from the start line, before heading across the Cormet de Roselend and on to the day's final ascent to the ski resort of La Rosière. 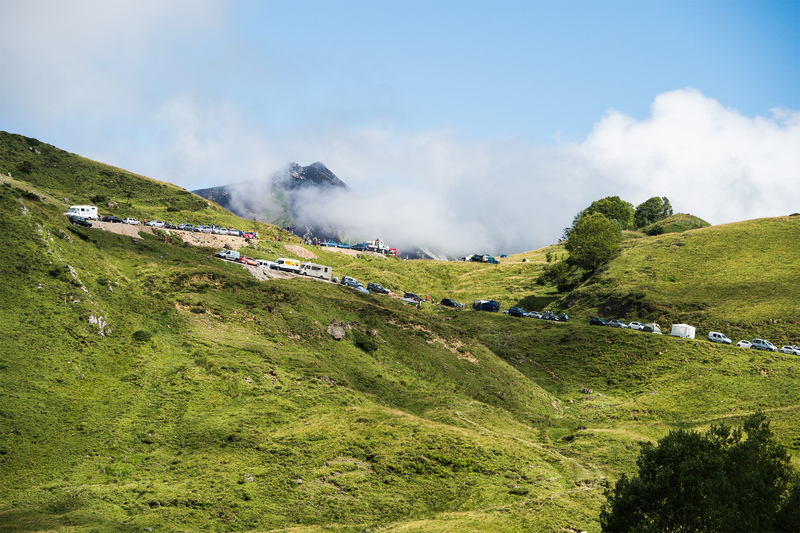 Day three in the Alps offers no respite, featuring the Col de la Madeleine, the Col de la Croix de Fer and the legendary climb up the Alpe d'Huez - three massive climbs in one grueling day. After the second rest day in Carcassonne (July 23), the race will really hot up in the Pyrenees. Stage 19 includes three of the Tour de France's most legendary climbs, the Col d'Aspin, the Col du Tourmalet and the Col d'Aubisque. By the end of that day, we should have a clear idea of the likely contenders for the yellow jersey in Paris. Two days earlier, stage 17 will be short (65 kilometers) but spectacular. Heading from Bagnères-de-Luchon to the Col de Portet, it will see the Tour de France take a leaf out of the Formula 1 rulebook. Determined to show that they are never short of exciting new ideas, the Tour's organizers have decided to introduce a new type of start, with the riders lining up in a grid formation based on their position in the general classification. How will that work in practice? At the route presentation last year, ASO's Technical Director Thierry Gouvenou announced that riders will be started in five different groups, based on their general classification position. The top 20 riders in the general classification will line up in offset rows Formula 1-style, with the wearer of the yellow jersey in pole position. The other riders will form into four more groups in a 70-meter corridor behind them. 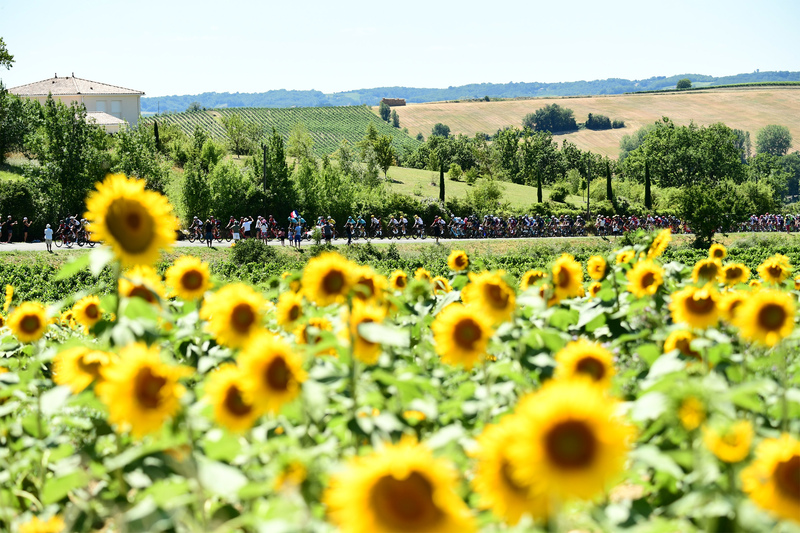 This is a new departure for the Tour de France and looks set to bring the start of this stage almost as much media attention as the finish in Saint-Lary-Soulan – the only mountain-top finish except for Alpe d'Huez. The hilly individual time trial from Saint-Pée-sur-Nivelle to Espelette will give the "contre la montre" (against the clock) specialists an opportunity to put some time into their rivals, before the riders board the plane for a second transfer to Houilles. From there, the final day sees the peloton cover 165.5 kilometers into Paris to finish on the Champs Elysées. One thing is for sure: There will be no shortage of drama and excitement in the 105th Tour de France.